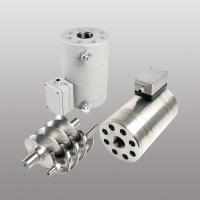 VSE Volumentechnik GmbH develops and manufactures highly-precise flow measuring devices for almost all pump able media as well as electronic evaluation devices. The company's in house development and design department comes up with technically exceptional solutions tailored to the client's individual requirements. 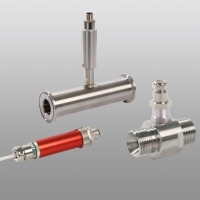 Thus, customer specific flow sensors with highest accuracy can be designed within shortest development times. VSE, headquartered in the German town of Neuenrade, was founded in 1989 and belongs to the Echterhage Group. 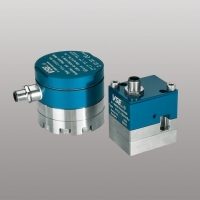 VS positive displacement flow meters are volume rate measuring sensors based on the meshing gear principle and are designed for use with liquids. Two precisely matched gear wheels are enclosed in a very accurately machined housing. Gear rotation is sensed by a non contacting signal pick-up System. Each work produces one signal. RS flow meters measure the flow rate based on the screw pump principle. The newly developed rotor profiles ensure a low-resistance, high-precision measurement while gently transporting the measuring medium. 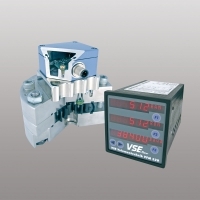 The VSE EF ecoflow is an inexpensive alternative to the VS Series for measuring tasks with lower standards of technical characteristics such as accuracy, pressure, temperature, etc. 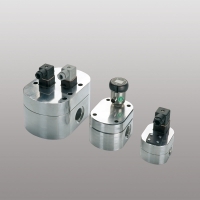 The positive displacement gear flow sensors of the VHM Series are based on the meshing gear principle and were developed for high precision flow metering for a wide variety of liquids, especially liquids with high abrasiveness and poor lubricity. Turbine flow meters are precise and reliable measuring equipment, designed for varied applications. VTR flow meters can be installed even under the harshest application conditions including oil, petrochemical and chemical industries as well as other industrial sectors.